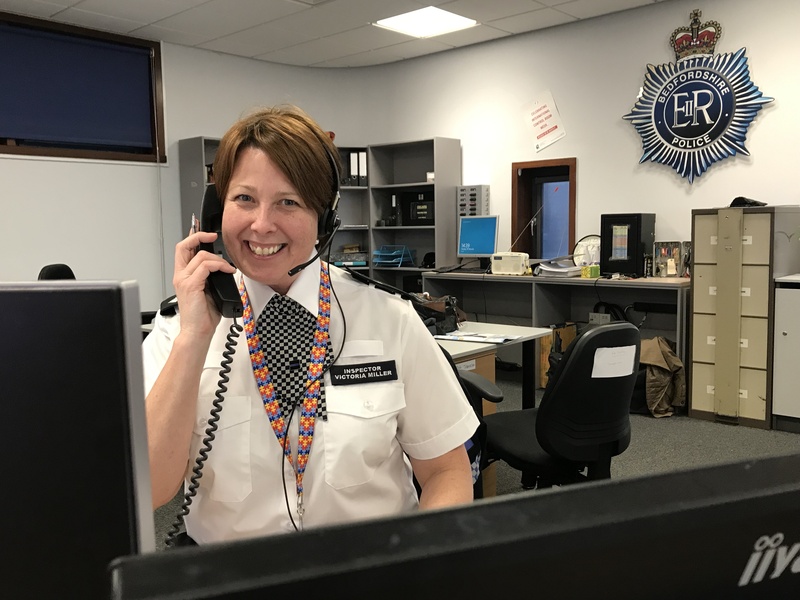 On International Women’s Day, Hannah Wilkinson, who was recently appointed as the head of the Regional Organised Crime Unit (ROCU) for the eastern region, has blogged about her role. She is the first ever police civilian to take on this role. “I started my career in policing in 2000, working as an Intelligence Analyst for Hertfordshire Constabulary. I thought I’d do the role for a couple of years then get a business role in the city, but somehow 19 years have gone by and I’m still here! I’ve spent a lot of my career working in serious and organised crime and covert policing, joining the ROCU in 2014, so I’m excited to have now been appointed as the head of the unit – a role that has previously only ever been carried out by officers. ROCUs work closely alongside forces, as well as national agencies, which means the reach and impact our teams can have on serious and organised crime is huge. I’m looking forward to using my experience and ideas to drive our ROCU forwards, so that we can better protect the public, and I’m lucky to have an excellent team full of professional people. Not having policing powers does not impact on my ability to take on this role, and I think it’s really important that we look at modernising workforces and be creative about where we look for skilled people. I’m honoured to be given the chance to undertake this role and really appreciate the positive support I’ve had from across the whole police community. 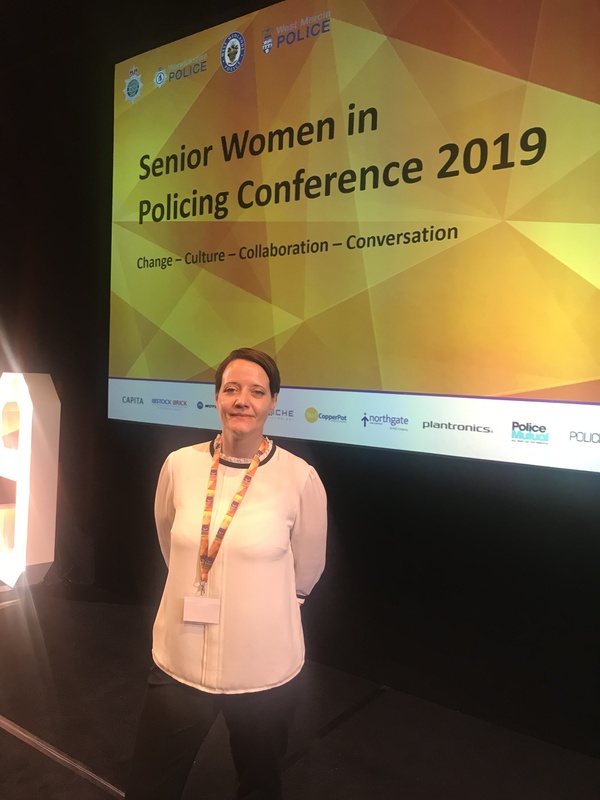 This week I attended the Senior Women in Policing conference, along with several colleagues from the forces in our region. My own experiences tell me that diversity is valued in the police across all categories. We need a mix of different people and different views to generate the best ideas. While there are fewer women senior leaders in policing than men, we have taken great strides forwards and the heads of both the National Crime Agency and the Metropolitan Police are women, and I believe women really are valued within policing. So if you’re a woman and you’re thinking of applying for a job in policing, whether in a civilian capacity or as an officer, I’d say go for it. Be yourself, don’t feel you have to conform, be authentic be courageous, and you’ll go far. When you think of the word Oscar you might imagine a lavish film ceremony, but in the policing world that word means something completely different. I am one of Bedfordshire Police’s Oscar Ones and work in the Force Contact Centre which answers all the incoming 999 and 101s calls, from bike thefts to suspected terrorist incidents. I am an Inspector and have been working as a police officer for 28 years now and would say this is probably the most challenging job I have done. I have to make decisions on a daily basis which are literally a matter of life and death. My job is to review all incidents coming in that require a police response and balance the severity of those incidents against the number of police officers we have available in the force. To put an Oscars slant on it, we are continually assessing which jobs will go into the nominations categories and the incidents with the greatest risk will naturally get an immediate response. Together with my team, I have to decide what level of risk is known or can be anticipated and this will determine whether we send an officer, make an appointment, record and investigate the crime or give advice. In Bedfordshire Police, we use a system known to us as THRIVE which helps us to identify risk and vulnerability. We consider the initial crime investigation and our contact centre staff are quick to help response officers with a range of tasks from vehicle recovery to working with CCTV to capture a wanted criminal. The police play a leading role in many mental health scenarios where vulnerability has been identified. It is a fine balancing act between police, health and social care partnerships and there is still a great deal of knowledge and understanding required. Our work has migrated into areas; child sexual exploitation, modern day slavery, terrorism and at the same time we are trying to provide the best possible service in the sensitive areas such as domestic abuse and missing people. THRIVE is a really good way for us to look at incidents and provide a rationale for the decisions Oscars have to make. In my time doing the Oscar One job there’s never been an case where I’ve thought I should have made a different decision. I carry a huge personal responsibility not to put someone’s life in danger. There are often many different ways to cut the pie and I am always reviewing incidents with colleagues to make sure I have thought through all possible options and outcomes. I often have to cross my fingers and hold my nerve . A few minutes can sometimes be a very long time when we are trying to find someone. I am only human and sometimes circumstances are a little too close to home, I am conscious of previous incidents where some dreadful things have happened. A notable example of this is the death of my friend and colleague PC Jon Henry who was fatally stabbed while on duty in 2007. I subconsciously think of him every time I deploy an officer to a knife incident. We deal with around 1,000 101 calls and 250 999 calls a day on average, with a very small team answering and dealing with these calls. As well as the call handlers taking the calls, we have radio agents dispatching officers to jobs across the county and radio support officers supporting the agents by making call backs, keeping relatives informed, recovering vehicles and calling out other emergency services. Oscar One is assisted by two Oscar Twos who are worth their weight in gold. If the Oscar Twos don’t know something about the contact centre then it’s probably not worth knowing! They do everything from sorting out IT problems to authorising vehicle pursuits. Oscar Ones are Inspectors and have an operational background. We are the ones who make the decision on whether to deploy a firearms unit. Oscar Twos have a background in the force contact centre and often have experience as Special Constables or have been dispatchers. We work very well with each other and our teams. To put a movie spin on our role, some days are high energy and feel like action movies, some days are a mix of comedy, horror, mystery and drama. I am rather partial to a superhero film and we get to play a bit part in those too from time to time. I still look forward to coming into work each day which shows there is something special about working for Bedfordshire Police, this is tantamount to the great team spirit of the force, where we work to do the right thing every day. It’s hard to put my dad into words. He was very outgoing, very full of himself I guess, he didn’t lack any confidence at all. He was a good man, a very good man. He was very logical in the way he approached things, but in the same breath he was one of the most caring and loving men I’ve ever met. I was in Brighton at the time, and I got a phone call from my mum. She was in tears and she told me there had been an incident but she didn’t really tell me too much on the phone. I got picked up, came to the hospital and he was just lying there. We found out what had happened – he’d been punched in the back of the head and then he’d fallen and hit his head twice. We were at the hospital pretty much all morning. At about 1pm they came into the waiting room and told us that he wasn’t going to wake up. Losing him has devastated us. My mum’s not the same person she was before; none of us are. It’s really hard to describe. It’s impacted us all differently, we’ve all gone through different phases with it – I personally went through a phase where I didn’t get out of bed for two weeks. I’m a 21-year-old man at university, and I understand people get into arguments and conflicts, but it’s so silly to waste two lives after one stupid, split decision. I’d say to people; just think. Any conflict or confrontation you get into, in the long run it’s never worth it. Like the campaign says, two lives get ruined – although with the families of everyone it’s more than two lives. It’s just not worth it. Just walk away. This blog post was written by Joe, the son of Mark Munday, who was killed on Saturday 3 December after being punched in the back of the head. He is speaking out in support of the Bedfordshire Police One Punch, Two Lives campaign.